Rumor: Popular burger shack movin’ & shakin’ into Columbus? Is the iconic Shake Shack finally setting up shop in columbus? WD Partners is the group that designs Shake Shacks all over the country except for Columbus where, ironically, they’re located. A rendering from one of the WD designers has been floating around Reddit and Columbus Navigator today, garnering quite a buzz. 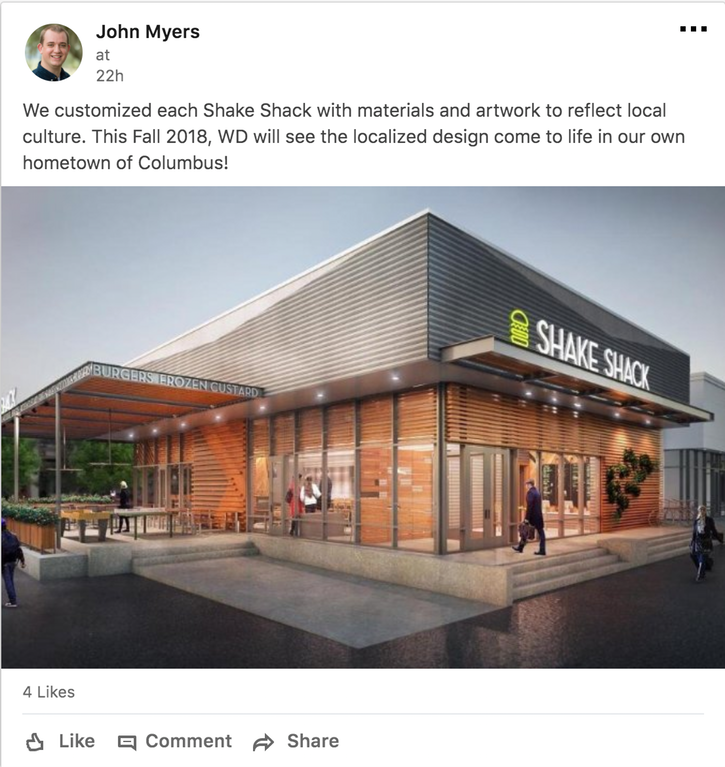 The alleged Columbus Shake Shack would open this fall.